Salerno to Caserta and Naples Shore Excursion: Visit Fascinating Heritage Landmarks along with Magical Hill Side Landscapes in Luxurious Sedans & Minivans. The southern regions of Italy attract a large tourist crowd every year. You will be blessed to explore some exotic heritage sites & monuments while touring this section of the country. 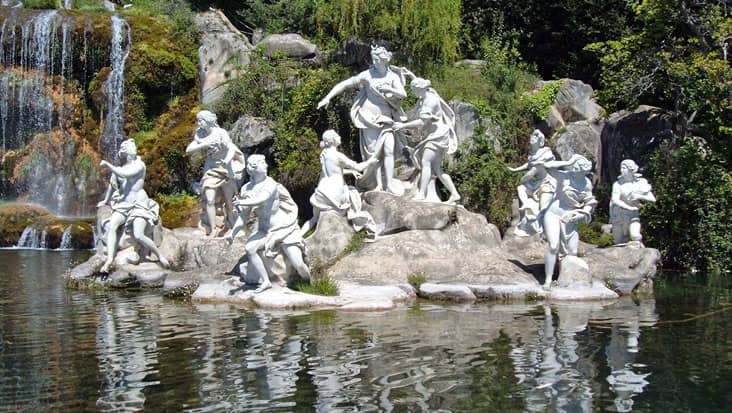 Benvenuto offers chauffeur-driven vehicles for Salerno to Caserta and Naples Shore Excursion. This is a vibrant tour package which would allow you to learn about cultural as well as natural highlights active in Italy. You can easily hire luxury sedans that are loaded with supreme amenities. It is suggested that you kick start the journey during the day time. This way you will get an opportunity to reach maximum landmarks under the stated trip duration. Naples is the birthplace of the popular pizza Margherita. You will be stunned after visiting some of the popular heritage landmarks such as the charterhouse of San Martino, Museum of National Archaeology and cathedral of San Gennaro. Do not miss a chance to visit the theatre of San Carlo that would be surely reached in this trip. Caserta is the next destination which is wrapped in a natural setup. There are gorgeous gardens and fountains available in this area. The Royal Palace is the most renowned highlight of Caserta which is decorated with artistic tapestries and gilded frescoes. You will admire the view of the waterfall that can be seen from the palace itself. The driver will ensure that you visit all the popular highlights in this journey. Our English-speaking chauffeur will impart useful details related to famous locations and monuments. There is an entrance fee for examining specific landmarks. Tourists have to pay this amount on the spot since it is not a part of the trip expense. For Salerno to Naples and Caserta Shore Excursion the customers are offered a choice to select the ride as per their will. Our chauffeur service owns Mercedes S-Class and E-Class sedans which are grand vehicles perfect for long stretches. The best part is that, these cars are equipped with GPS systems that help in quick cruising. We also offer VW Caravelle and Mercedes V-Class minivans that can hold a total of eight passengers. Mercedes minibuses can also be hired when the count of passengers is large.